Today: Tahini isn't just for hummus. Here are five ways to use this savory and smooth sesame seed spread to its full potential. As far as spreads go, tahini isn’t much to look at. It’s beige, gloppy, and it often has a yellowish layer of oil floating on top. It is likely sitting in the back of your fridge, where it's been since you bought it to make hummus. 1. Step up your porridge game. 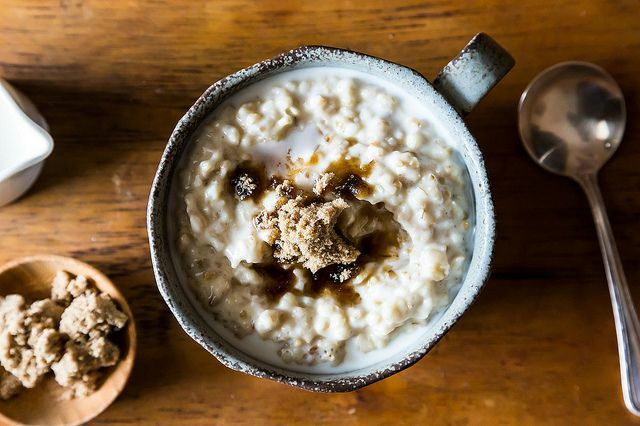 Oatmeal is the perfect winter breakfast, but it can be bland. A spoonful of tahini and a drizzle of honey will rescue your bowl of mush. If you’re feeling fancy, a handful of sesame seeds adds a lovely crunch. 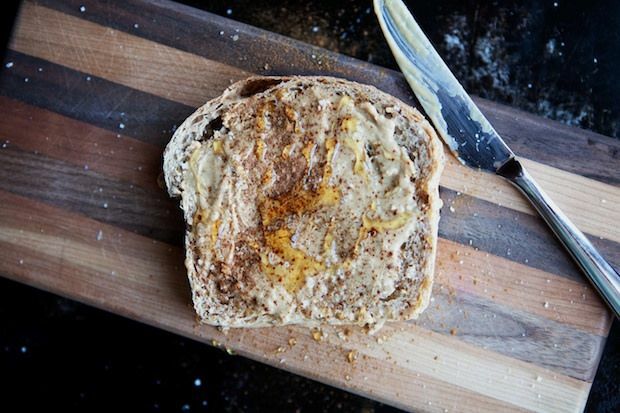 Toast plays well with most ingredients, but it really loves tahini, which practically melts into warm toast and without making the bread soggy. Smash an avocado on top, squeeze a lemon over it, and you have the perfect breakfast or snack. 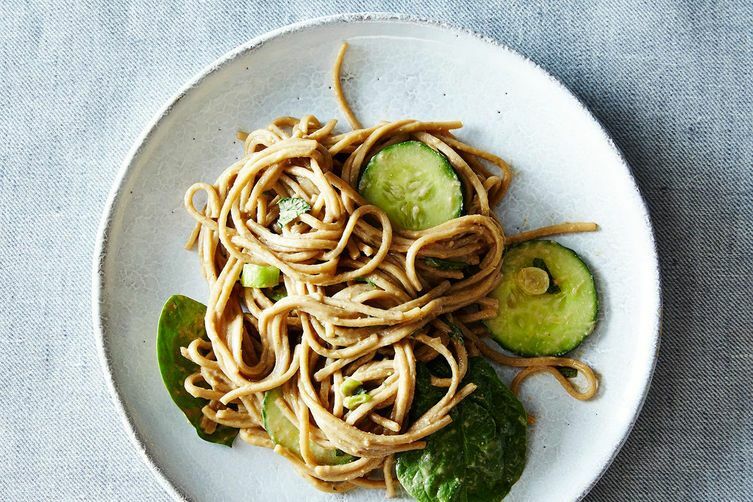 Want to replicate your favorite takeout sesame noodles at home? Use a bit of tahini in addition to the usual peanut butter and sesame oil. It will add a depth of flavor that plain peanut butter lacks. 4. Skip the bottled dressing. In salad dressing, tahini can replace oil. Whisk it with some lemon juice, garlic, and a touch of water to make a creamy, yet dairy-free sauce. It is great on salads, quinoa, and grilled chicken. 5. Spice up your chocolate. Hot chocolate is supposed to be sweet, but sometimes it can be too much. A spoonful of tahini counters the sugar level, adding a slightly savory note. 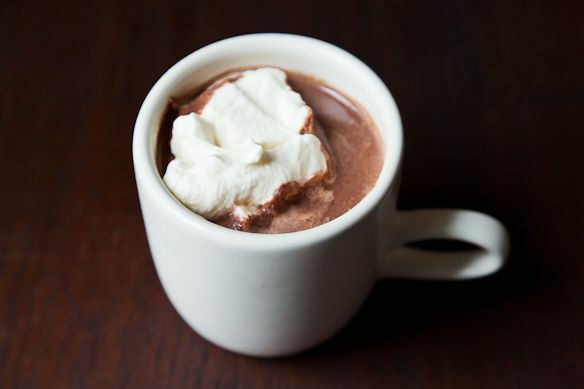 It pairs beautifully with hot chocolate made with almond or coconut milk, which are a little lighter than whole milk. What are some of your favorite ways to use tahini? Tell us in the comments below! I really like mixing tahini with miso to make a spread or a dip. Just add as much hot water, gradually, as you need to make the consistency you want. It's also beautiful mixed with honey, for a sweet spread. Let's not forget the best use for tahini - making a bowl of baba ghanoush! I have to be careful not to get a spoon too close to the tahini jar as it scoops and makes a dash for my mouth before I know what's happended. I serve a lot of tahini infused salad dressings and pasta sauces. Heidi Robb published her "secret sesame salad dressing" years ago but it remains a favorite featuring fresh cucumber and bell pepper and other vegetables pureed along with the tahini and tamari. Gena Hamshaw Lemon Tahini dressing is terrific, too. I'm lucky to live near a kosher commercial district and the markets there feature quarts of tahini for the price of a pint in the mainstream grocery. 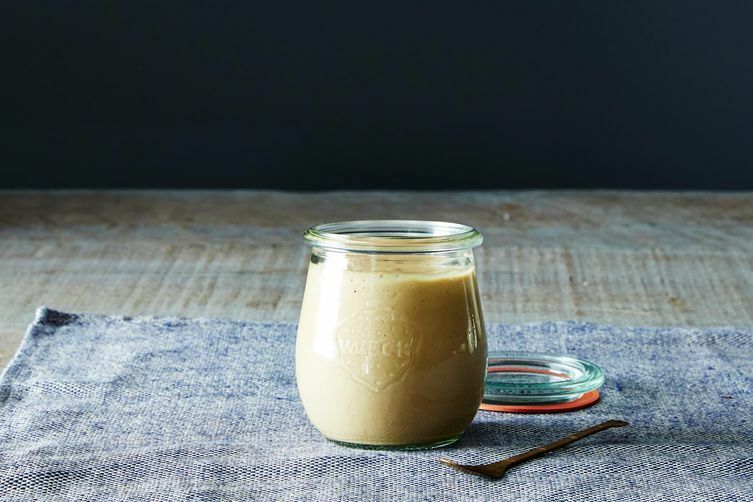 I love tahini and usually always have a jar in the frig. In addition the the ideas mentioned above, tahini make a great marinade for chicken. I use it on boneless skinless thighs and bake the chicken in the oven. It will also work if you grill the chicken. The marinade can have any number of spices such as cumin, za'tar, ginger, coriander as well as lemon juice, garlic and whorchestshire sauce. I am still working out the quanties of the tahini so it is not too thick, but still brings a wonderfull sesame flavor. Makes a great spread on toast for breakfast! You can choose to add some cocoa powder also for a chocolatey taste. Dip pitted dates into some tahini- delicious. Even better with some carob molasses stirred through. Dates are such a weakness for me, no control. Thx much for your well done piece! check out Soom Foods. they were recently mentioned in the boston globe (http://www.bostonglobe.com/lifestyle/food-dining/2014/12/09/fresher-nuttier-creamier-tahini/y8C9kLZnVsRobSWujFclqM/story.html) and the product is sold at a couple stores in the area. like formaggio kitchen. I do a African Peanut stew with chicken in a pressure cooker that's finished with peanut butter and Tahanni. I really need to quantify that recipe. My morning porridge usually includes tahini and miso. I sometimes add a drizzle of honey. I like them with dates. Fill a pitted date with tahini and dip in chocolate and roll in sesame seeds. I can also be found eating tahini straight out of the jar. I actually love just adding a tablespoon to pureed vegetable soups for extra oomph and creaminess! delicious! What an amazing idea! Will definitely be giving that a try. I absolutely love tahini! Thanks for posting some new ways to use it. The oatmeal sounds delicious!